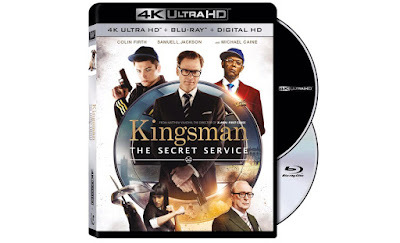 Home / Film News / Ultra HD Blu-Ray Coming From Warner Bros.
Ultra HD Blu-Ray Coming From Warner Bros.
To every season there is a turn, turn, turn. We went from video tapes and floppy disks to Blu-rays and USB’s, all the while the video’s we watch became clearer and contained more features. The next standard to come out will be titled Ultra-HD Blu-ray, and is set to include 4K resolution, a term that many are saying is the next must-have piece of technology. Following on from the likes of Fox and Sony, Warner Bros have announced some of their first releases. With the announcement that by the end of 2016 over 35 titles will be available on the new format, with even more titles available by “digital retailers”. The first available titles released by Warner Bros will be Mad Max: Fury Road, San Andreas, The Lego Movie and Pan. In their statement, they continue to list some of the technological advantages that will come with the new format. These include Dolby Atmos, a new system which is set to surpass surround sound by offering the ability to ‘move’ sound around the room, placing its location anywhere in the room before watching as people turn their head to hear the jet fly overhead or the crash of a pan hitting the floor behind the middle row of seats in the cinema.